Surely you know Kenilworth Castle better if you are a passionate fan of the novels of Walter Scott. In 1821 the writer "sealed" the history of this English castle on the title pages of his work. The action in this classic English story develops against the backdrop of dense forests of Arden (Forest of Arden), where is this historic fortress. Kenilworth Castle itself was built near the small town of Kenilworth in Warwickshire. Kenilworth is located about 140 km northwest of London, and the nearest larger towns are Warwick and Coventry, which are spaced out at about 10 km. In place of the current castle ruins, is a tribute to Norman rulers which had strengthened the building since the Saxon period. Well preserved ruins of Kenilworth Castle today date from the early 12th century since then it has remained an impressive watchtower. Kenilworth Castle is impressive with its unique water barrier. For those times the construction of such a water moat was to protect the palace and it had been quite costly. Another landmark in the history of the castle is what happened in 1266 when the British Royal Army after a 6 month siege took Kenilworth Castle, defeating the first ever Parliament of England. 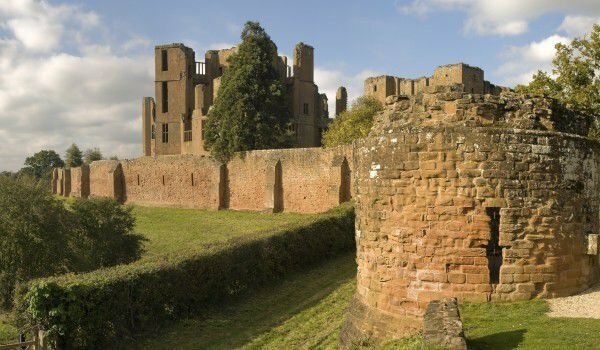 The Kenilworth Castle itself was a gift from Queen Elizabeth Dudley I in 1563 that had spent a fortune to make the place a paradise where you can meet the entire campus. In 2005 it became clear that the gardens of Kenilworth Castle would be fully refunded. So in May last year, the English garden of the castle opened again. The park is dedicated to Queen Elizabeth the First as it was made for her by her favorite, Robert Dudley, Earl of Leicester, whom at the time she hoped to choose as a husband. The construction of a similar scale Elizabethan relic was made for the first time and is fully reserved by the eyewitness description of the 1575. Nearly 3 million pounds were invested in the project for its restoration, which lasted five years. Incredibly the attractive is a 5 meter fountain of white marble, whose top is decorated with a large globe, which stands against the beautiful garden.